We stand in a neat row on the left, as commuters skip lightly past on the right, elegant on the escalator. I start to count — it averages out that one in six people on the “down escalator” coming towards me is wearing a paper mask. A few years ago there was a trend towards wild and wacky colours and designs, but the vast majority seem to have settled back to stock-standard white paper. I’m always intrigued by this. Some friends in Tokyo tell me it is so they don’t spread germs to others. Others say it is primarily to stop catching anything. But there is a new, unproven and possibly wholly unscientific theory that it brings a sense of privacy in a crowded world. One day, walking outside in the fresh air on Mt Takao, I notice people still wear their masks. In a hotel, I see a man slip his mask down around his neck as he steps into a small, cloudy room to smoke. It’s true that having Dave alongside helps. Dave’s full name is Yuji Dave Otsuka, and he’s executive director of the Tokyo public relations company AZ Worldcom — but today he’s just a new friend helping me on the trains of Tokyo. They are less daunting than they used to be. Buying a ticket is straightforward touchscreen stuff, and underneath signs in what for most of us are indecipherable Japanese characters is English. The screens on the trains showing which stations are coming up are easy to follow, and announcements are made in both Japanese and English. But still, having Dave alongside helps. I am staying at the Keio Plaza Hotel Tokyo in the Shinjuku area. It’s a good base because the Shinjuku Station is a massive hub. It has a lot of exits but, as a rule of thumb, the South Exit and New South Exit take me to shopping areas, the West Exit to department stores, city skyscrapers and hotels, and the East Exit takes me to most of the bars and nightlife. After a couple of days, I suddenly realise the trains have all got easier. They are clean, people are polite, and they run on time. Recently the operators of the Tsukuba Express line which connects Tokyo and the city of Tsukuba issued a public apology when one of their trains left 20 seconds before it was supposed to. The statement sincerely apologised for the inconvenience. Guide and friend Yuji Dave Otsuka. The Hibuya area of the capital. Interesting outfits on Takeshita Street. Miwa Naito plays the koto Japanese harp at Keio Plaza Hotel. It is estimated that the total Tokyo region has a population of more than 38 million people, but it doesn’t feel crowded to me. This is the dichotomy of Tokyo. I join a queue which looks enormous, and I am quickly at the front. I think this is mainly because people know how to move and behave in big crowds (stand on the left, walk on the right). Manners and etiquette are very important in Japanese society. A good rule when eating is to hold back and follow the pattern of the locals — what to eat first, how to eat it. I join a long queue but within minutes I am in a lift heading up to the observation floor of the Tokyo Metropolitan Government Building. Or, to be more precise, the observation floor of the South Tower, as there is one in the North Tower, too. This is a free view over this massive, modern city and as far as the distinctive white cone of Mt Fuji, on a clear day. But, as Yuji has already told me, Fuji is shy, and not always seen. Not today, as the horizon is cloudy, but I am pleased to have the blue sky and autumn sun after the fog and rain of this morning cleared at precisely the moment that the spectacular accurate Japanese weather forecasting predicted it would. One of the observatory volunteers points out the sights of the city in impeccable English. In some of the 200 bars in Golden Gai, there are just four or five seats. Perhaps just 5m by 3m, the bars rub shoulder to shoulder in the six connected pedestrian alleyways of the small district of the Shinjuku area of Tokyo. This is the very definition of “authentic and local”, and while some rely on regular local trade, there are signs on doors in English welcoming “travellers”. One of the bigger ones has a jazz theme, another punk rock and, of course, there’s karaoke. Many have boards outside pricing all drinks at Y700 ($8.15) each, with no entry charge. I expect the harp to be soft, but it is not at all. Miwa Naito plucks big, woody notes from its thick strings. Her confident fingers are strong, and their movement definite. The koto Japanese harp is a gutsy instrument. It has 13 strings and is made from kiri wood — a fast-growing hardwood paulownia also known here as the princess tree because it has been tradition to plant a tree upon the birth of a girl and make from it a dressing table for her wedding present. The koto has been played in Japan since the 8th century, though in the early days, only royalty played it. But it spread, particularly during the Edo period from 1603 to 1868, to the middle class. 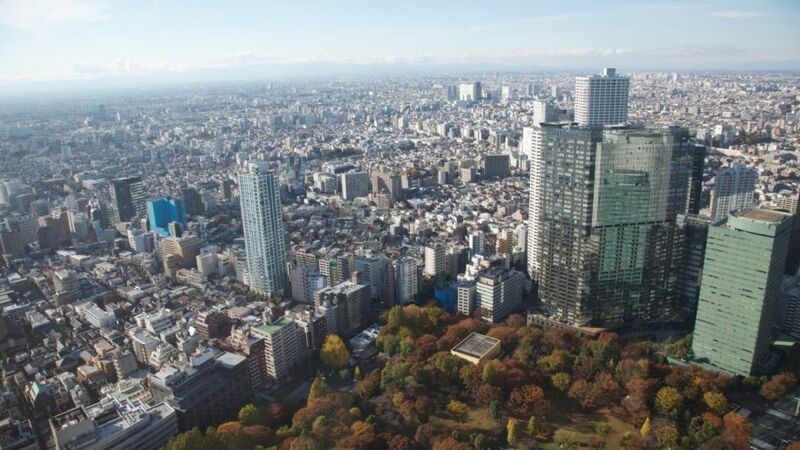 The award-winning Ms Naito has brought it out of the drawing room and, at this moment, into the lobby of the Keio Plaza Hotel Tokyo — itself a Japanese icon. She plays here four times a day, twice a week. I join a row of respectful Japanese in two rows of chairs. As I sit, people bow and smile. Stephen Scourfield was a guest of Keio. A Perth family follow in the footsteps of their prisoner-of-war father. Readers joined West Travel Club's writers for holiday hints and tips as they prepare for their next journey.